Jane Shortall was born in Ireland. She had various careers, including the Aerospace business. Best loved was the Equestrian Federation of Ireland. Jane has always travelled, mostly in Europe, loves London, Paris, Rome, Florence, the islands of Sicily, Rhodes and Corsica. With her husband, they travelled extensively from their home in the foothills of the French Pyrenees. Now a widow, Jane has moved over to the French Riviera for the next chapter, literally. 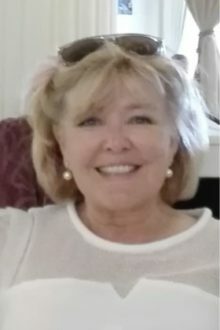 Rediscovering her old sunny vitality, she intends to write with positive passion, and is loving her life, immersed in the culture of the stunning Côte d'Azur. She intends to write full time and can be reached by email.